Book your local mobile mechanic from Lube Mobile to have your brake pads inspected or replaced at the most convenient time and place for you. Don't let a workshop change your day or make you wait ! 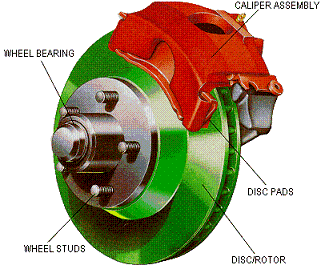 We can replace everything related to your vehicles brakes including disc rotors, brake shoes, drums, wheel cylinders, master cylinder, brake lines, hoses, and even repair or adjust your handbrake. Ask us about diagnosing and repairs for ABS (Anti-Lock Braking System) problems. Whatever the issue you’re experiencing our mobile technicians are able to replace, machine (may need to take away), bleed and test your brakes to ensure your brake system is running an efficient levels. Only after a comprehensive safety check will we sign everything back over to you so that you’re back on the road in no time at all. The mechanic will always give you a brake price in writing before starting any work. All of our repairs and service work come complete with a 12 month/20,000km nationwide Warranty so you can rest easy even if you’re planning to drive interstate. Book online with our super simple and fast online booking process. After just a few minutes and with a few pieces of information regarding your vehicle’s make, model, and year, we’ll have a technician’s name, arrival time and location to suit your day. Enter your postcode in the section above to see when we can get there and brake pad cost or call us on 13 30 32 for friendly assitance. 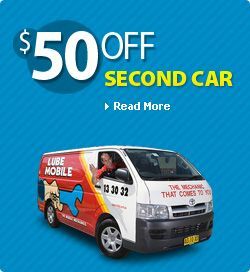 This is the first time I have used Lube Mobile and based on my experience I will be calling Lube Mobile anytime I need work done. Michael was brilliant. He was friendly explained everything and did an excellent job all withou out me having to go anywhere! Based on my experience I will definitely be recommending this service! Great Job!! Very happy with the efficiency and thoroughness of the mechanic (Trent), the prompt service received and the good outcome! Thank you. The mechanic was very polite and efficient and did the work in a very workman like manner. As an ex mechanic I could see he knew exactly what he was doing. Thank you for your service. As a person who has been involved with owning service stations in the past I found Andrew to be an excellent mechanic who explained everything regarding the repairs so that a lay person could understand. I wouldn't hesitate to use his services again. Chris was very professional and explained the service to me in a way I could understand which was really important to me. I was very happy and satisfied with the service and will definitely use your services again. Also as it turns out I do need a new battery for my car. Could you give me a quote for that?